This is a beautiful mustard plant. 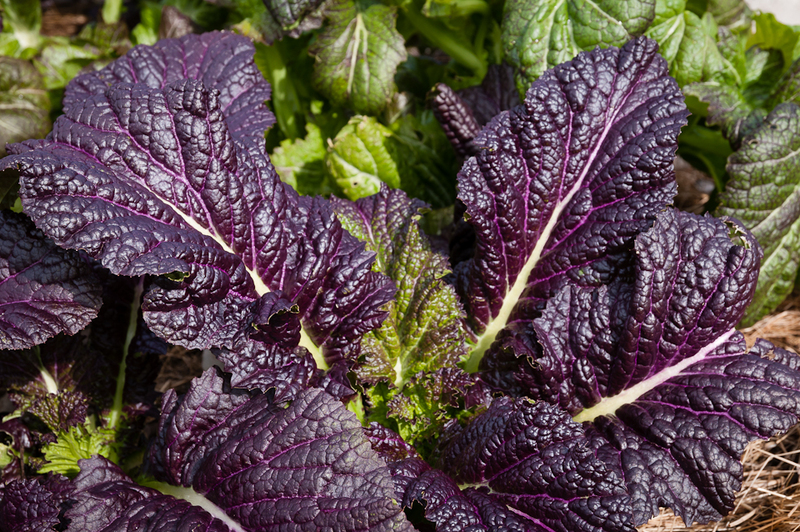 Deep emerald green leaves start with a purple tinge and grow increasingly purple as the leaves mature. If you like spicy mustard, this is the plant for you. This is also a great companion plant, as it naturally repels aphids. How Do You Take Your Living Walls? Choose the type and size of planter you would like for your Pre-Planted garden.